It's Halloween - and the bats are flying all over the room! WHAT FUN! KIDS LOVE IT! 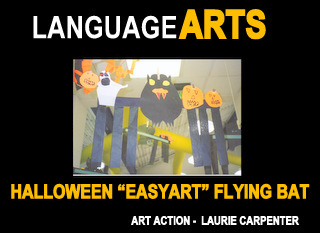 Try this "easy-art" project for classroom, home school, or art room. A HALLOWEEN SIMPLE CUT AND PASTE PROJECT FOR THE ELEMENTARY STUDENT-ALLOWING FOR CREATIVE EMBELLISHMENT.